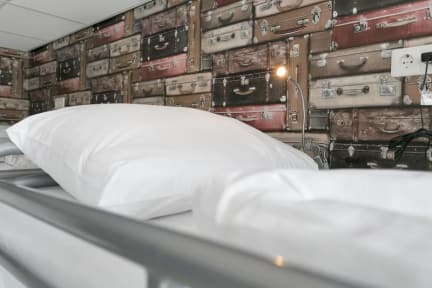 Dutchies Hostel i Amsterdam, Nederland: Bestill nå! Everything you need is available at Dutchies Hostel, from free linen, free WIFI, free luggage storage to free lockers with padlocks. Imagine a clean, safe and beautiful place that will cater to your every need. At Dutchies Hostel we aim to please. We want to make your stay as comfortable and pleasant as it can be. Dutchies is a modern, recently built hostel in Amsterdam. The hostel is located on the ground floor of a building with student houses. 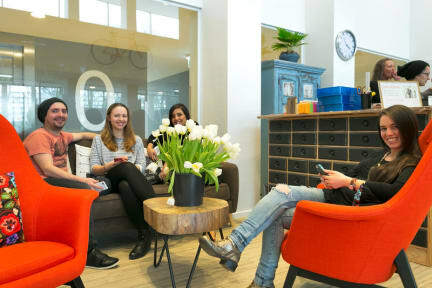 The location is in the west of Amsterdam and is close to Amsterdam Sloterdijk, which has great bus, tram and metro connections. Dutchies has big, comfortable rooms and are beautifully decorated. The entire hostel is decorated with graffiti which will give Dutchies a modern look. Dutchies has an eatery, a TV room and a terrace. It also has bicycle rental, bicycle storage, public transportation tickets, tickets for museums and several attraction, free city maps and laundry service for €5.00. Parking is €10.00 per day.